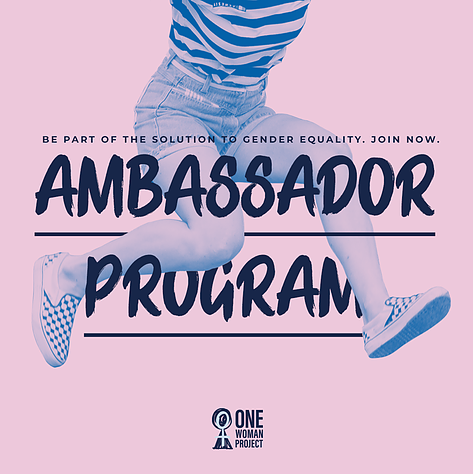 The One Woman Project Youth Ambassador program is an opportunity for high school students interested in gender equality to expand on their understanding of feminism, to hear from phenomenal guest speakers, and to develop a range of skills to be effective advocates! Our One Woman Project Ambassadors are passionate advocates and educated voices in their communities! To start off the program, we will explore some important and amazing feminist leaders of colour from around the world, and understand the importance of recognising these leaders. We will also introduce the ideas of intersectional feminism and “White Feminism”. This week’s topic will focus on LGBTIQA+ population, how LGBTIQA+ framing will impact on non-heterosexual populations. By which, we will explore this topic from different perspectives, such as neoliberalist perspective, and queer intersectional perspective. It might sound a little bit overwhelming from those big words, but we will make it fun and meaningful! In this week, we will talk about feminism from an Indigenous perspective. We will have a speaker from Indigenous background to share her view and experiences from a feminist lens. This week’s topic is on Ecofeminism! What’s that you ask? Ecofeminism simply put is the relation between ecological harm and repression of women and other gender minorities, as a result of politics, the patriarchy and other factors. In a sense, we’re all ecofeminists, so can’t wait to discuss it with you! A wrap up of the Ambassador Program. This week’s topic is on politics. We will explore how socially embedded systems such as the patriarchy, neoliberalism/capitalism causes power structures structural barriers for people of all ages and genders. Politics is a key influencer in feminist discourses, so we have lots to share! This week we will explore why forced migration and seeking asylum should be viewed through a feminist perspective. We will also explore refugee convention grounds, migration laws and policies, and the various factors that lead to forced migration. This week we will look into the various types of disabilities (physical, emotional, and mental), and explore the connection between disability and feminism. We will discuss safe spaces, accessibility, language, body positivity, and sexuality relating to disability. A major part of the OWP Ambassador Program in 2019 is that the Ambassadors will spend time during their first seven sessions developing an event for International Day of the Girl Child in October! How exciting! Seize your passion for world issues, find your voice and make a difference as an Ambassador of the One Woman Project. Email info@onewomanproject.org to find out more about the 2020 program!